- So you're saying people will "tweet" what they're eating for breakfast? - And "upload" pictures of their breakfast to a "Facebook"? - And other people will look at the breakfasts and make comments? - Sorry to burst your bubble, dudes, but you asked. Yes, that's the future. 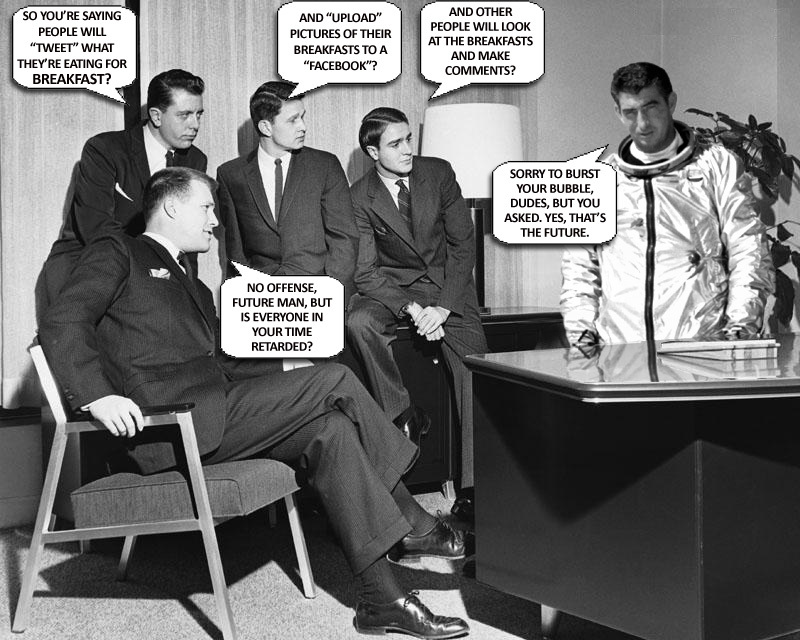 - No offense, future man, but is everyone in your time retarded?